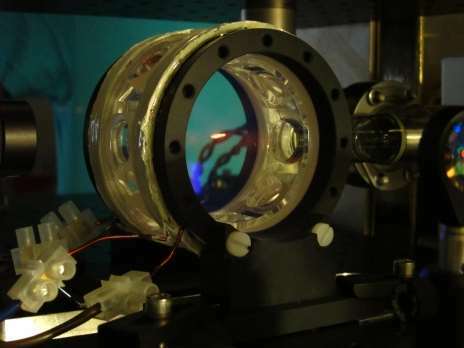 Precision Glassblowing produces Bose-Einstein Condensate (BEC) and Magneto-Optical Trap (MOT) cells in different shapes, styles, configurations, and sizes. Each cell is manufactured to the customer’s specifications and needs. Please click on the gallery links following the description of each design for examples of previous projects. Box shaped cells are produced from pre-fabricated cuvettes made from either borosilicate of fused silica and attached to CF flanges. Both styles may be AR coated (outside only) with any desired wavelength or range of wavelengths. Some limitations may apply depending upon design or size of assembled cells (Rectangular Cell Gallery). Our 6-way cross cells can be fabricated from borosilicate or quartz. Double-sided AR coated windows are available on the quartz version of the cell (6-Way Cross Gallery). Our revolutionary octagonal design offers the all the benefits of a 6-way cross but with larger viewports located closely together for improved imaging of trapped atoms. The octagonal cells are made completely of quartz and feature double-sided AR coated high-quality fused silica windows (Octagonal Cell Gallery). All cells are Helium leak checked prior to shipment to ensure they are UHV compatible.